On their new album, Septic Mind have created an original piece of hypnotic, almost Ambient-like Extreme Doom which can be a challenge to listen to. 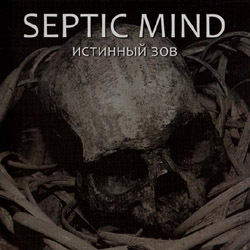 With their previous album The Beginning (2010), the Russian duo Septic Mind have sparked the attention of many Extreme Doom fans. With its psychedelic and hypnotic feel, their music was a fresh impulse for the scene despite the very obvious Esoteric influences. Fans did not have to wait very long for a new album to be released, but the question is: Can The True Call live up to the high expectations? The answer to this question depends a lot on what your expectations actually are. If you have been hoping for The Beginning part two, you may be disappointed. The Esoteric influence has almost completely vanished in favour of a much more individual sound which may take some getting used to at first. But at the end of the day, this development is the greatest strength of the album because it sets the band even more apart from the majority of the scene. Another plus is the fact that the three tracks, as repetitive as they may be, are quite different from each other. “The True Call” is the longest of them, a very minimalist piece with only subtle, but effective changes in its overwhelming flow of funereal atmospheres. 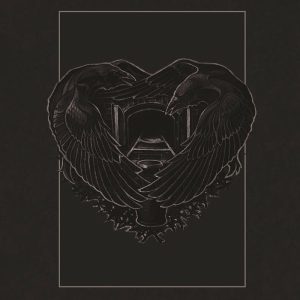 Dark droning bass and synths maintain the basic note throughout the whole playing time, supported by simplistic drumming, while dismal guitar patterns and powerful growls are meandering on top. All of this has a rather Ambient-like feel to it since it is fairly unobtrusive for Metal standards, creating a vaguely unsettling atmosphere. This is the perfect music to listen to while contemplating at length your miserable, dreary existence. Unfortunately, the second song cannot compete in terms of atmosphere. It is extremely monotonous without having the hypnotic effect of the title track, and therefore it is the least interesting of the three compositions. “Planet Is Sick” [sic] is much better again. Albeit being the shortest track, there is a lot going on here, including a change in rhythm (from 4/4 to 6/8, for those interested). The tune is faster and heavier than the other two, but what really shines here is the great psychedelic lead guitar drenched in wah and reverb. The press info claims that Septic Mind had taken up some sludge influences on this album. 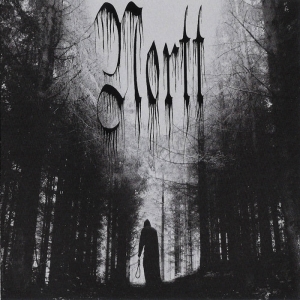 Sometimes I get the impression that any Extreme Doom act that does not sound like your average Shape of Despair clone is said to have Sludge influences these days, whilst pure Sludge bands are suddenly labelled as Funeral Doom. Take my advice and do not pay any attention to such nonsense, even if it may come from the band themselves, for I cannot detect any such elements here. In fact, there is no fitting label for the music the two Russians have created here. 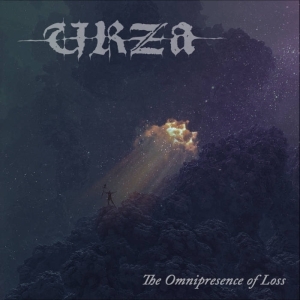 But either way, this is certainly an interesting record which nicely exemplifies how far Doom Metal has come as a genre and what tremendous diversity the scene has to offer to this day.